Not so long ago, any teacher who was qualified in South Africa could find a teaching job. Not any more. Schools are fussier than ever – and there are plenty of teachers unemployed! How can you make sure that you get the interview – and the job? Job Hunting is not a one-off, so be prepared! Most people change their job on average every four years. So you know it will happen – be prepared for it. The first time you put together your CV take a whole day! Go through at least twenty templates on the Internet before you chose one. Ask someone to proof-read it for you, it needs to be perfect. Every six months, update your CV. What are the really good things you have done in the past six months? A couple of lines is probably enough – but if you delay you will forget! If the Head or Deputy of your school leaves, get them to write a written reference for you before they go. That way you don’t have to tell the new head (immediately) if you decide to look around. Keep your CV and written references somewhere safe, sooner or later you will need them. Every second year, revamp your CV completely. Styles of CVs do change, but the internet is full of sites with good templates and excellent advice. Spend half a day on it – the investment will be worth it, it needs to reflect who you are now and where you want your career to go. Don’t go over the top – employers scan CVs rather than reading them, and they get cross if there is too much hype; but be creative, make it very neat, correct spelling, grammar and layout will get your CV plenty of attention. Get some interview practise. 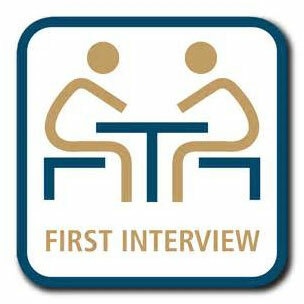 If you are invited for an interview even in a school you would not want to work at – take the interview for the practise. That way when the one comes along that you do want your nerves are less likely to let you down. Have a look at Alison’s Pinterest Page "Time to Change Your Teaching Job" – there are lots of links there about interviews! Circulate your CV widely, but carefully! Send it to reputable schools and agencies; be prepared to take it by hand to schools you would really like to work for! Insist on an interview with the head – don’t take no for an answer! But once you have the interview don’t talk too much – be prepared to listen, because if the head offers you a job you need to know you want to work for this person! Don’t be afraid to turn down a job! If the salary is too low, the duties unsuitable, the location impossible, the hours ridiculous you are not going to be happy working there. Smile sweetly and say, "No thank you." Always insist on a written offer of employment Some rather unscrupulous employers will make a verbal offer of a job at an interview, and promise to send the written offer later. All too often the written offer is not the same as what the person remembered! So smile and ask politely for a written offer before you give them a firm reply. Don’t give up! God don’t make no junk! He made you to do something uniquely well! Keep on pushing until you find that place – and then – be the best you can be.